When it comes time for an oil change, there’s no need to search New Haven, Branford, Madison, and New London up and down – Westbrook Honda is standing by, ready to service your Honda CRV, Accord, Civic, Pilot, HRV, Ridgeline or Odyssey efficiently and reliably. Our team of auto service and repair experts is highly versed in everything automotive, especially when it comes to Honda models. That means you can count on your car getting the TLC it needs in order to give you more out of each mile. Let us help you protect your investment. These important benefits await your first service experience. As for the specific services we provide: if you need something done under the hood of your car, we’re the ones to trust. That means whether you need a simple oil change or tire rotation or something more complex like a major repair, we know precisely what to do, how long it will take and, perhaps most importantly, how much it will cost. 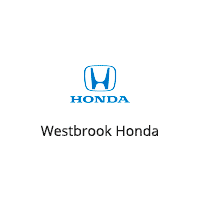 To schedule a service appointment with Westbrook Honda, simply use our online service scheduler. All you need to do: sit back, relax and be ready for your car to drive like it did the first time you took a seat behind the wheel.